Majority of online videos are in Flash format, as a result you need flash plugin installed on computer to able to view such videos. Now you can watch videos without flash support using HTML5 technology with h.264 video codec or the WebM format (VP8 codec) support. Just install and use web browser with HTML5 support to watch online videos without flash using HTML5 technology. Since HTML5 is emerging technology platform, majority of web browser versions with HTML5 support are in development beta stage. 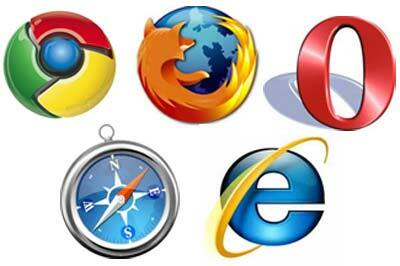 You can download and use beta version of web browsers to checkout online videos in HTML5 format. 1. Google Chrome with h.264 and WebM support, early release. 2. Firefox browser with WebM support, download it. 3. Opera WebM enabled version is also available. 4. Apple Safari with version 4+ can be used. 5. Internet Explorer 9, platform preview 3. After downloading and installing either of above web browser, you can always perform online test for extent of HTML5 support by specific web browser. How to block flash animation content in Firefox?